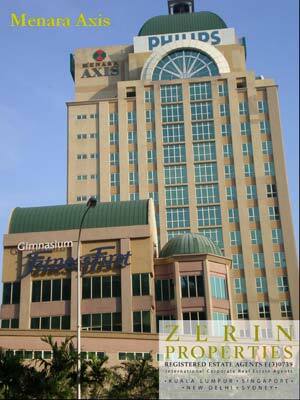 Menara Axis is part of the Axis Reit and is a popular location for large local companies as well as MNC’s. It is an older but well maintained office tower strategically located along the Federal Highway, opposite the Pinnacle and Armada Hotel. Its efficient floor plates allow ample natural light to enter the units. Menara Axis is easily accessible from Kuala Lumpur, Shah Alam, Petaling Jaya and Subang Jaya via the Lebuhraya Damansara – Puchong (LDP), Federal Highway, and Lebuhraya SPRINT. In terms of public transport, trains are accessible via Asia Jaya LRT station which is located directly opposite the building.